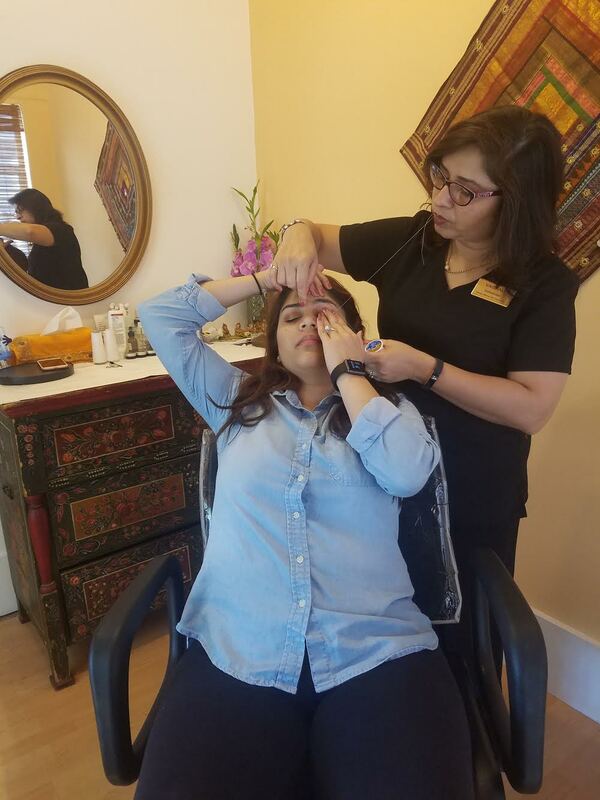 Threading is a hair removal method that lifts up hair in order to trap it in a tiny lasso; the hair is lifted completely out of the follicle. Threading is only recommended for the face and neck. It is a highly sanitary procedure. When done correctly, nothing will touch the skin except the thread, which is disposed of after use. People who have trouble getting their brows properly shaped often find that the concise hair removal achieved with threading is the only method that can get their brows right, whereas waxing, sugaring, and tweezing fail. 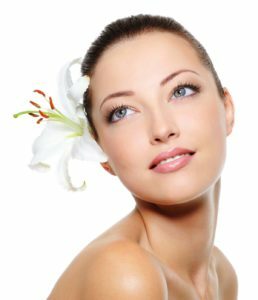 There are some instances where alternate hair removal methods such as waxing and sugaring conflict with medicines a person is taking or their skin condition. Not only is threading is a quick and safe method of facial hair removal, it also has no contraindications. It is an art that’s passed down through generations. For threading to work, the hair to be removed must be at least 1/16th of an inch. The discomfort caused by threading is comparable to tweezing, where you feel every hair that’s being removed. Different people experience different pain levels. Sneezing, watery eyes and redness of the area threaded are common body responses while doing this service and for some time after. The severity depends on individual skin type. This reaction is self limiting and goes away within a few minutes; for sensitive skin types it may last longer. 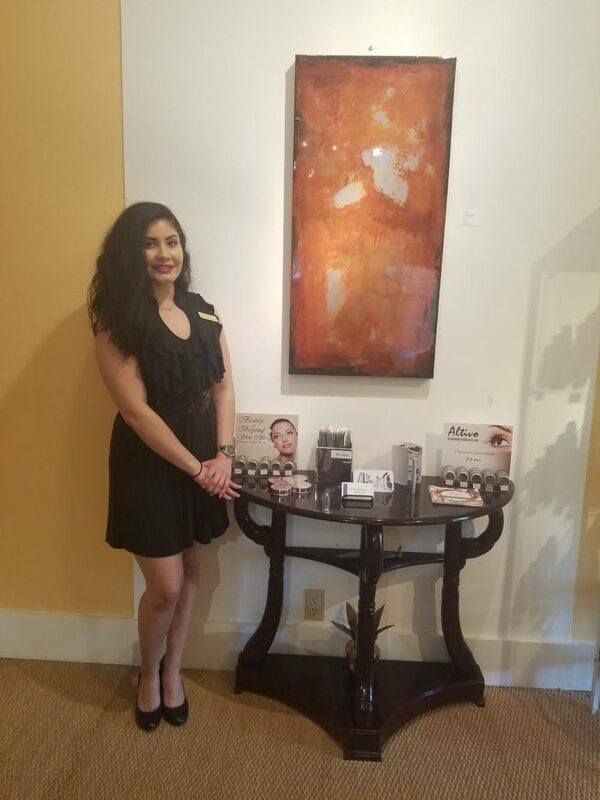 Our brow experts will provide consultation to create beautiful and natural brow effects with Altivo’s Brow products. We will also guide you to accent your features and highlight your eyebrows. The lightweight formula is designed to be a smudge-proof and ensure the perfect brow color and shape. Altivo Brow makeup makes a fine addition to your daily makeup routine. Blonde: Beautiful Blondes no longer have to suffer from invisible eyebrows! Give your eyebrows the definition you desire. Light Brown: From darker blondes to brunettes looking for a more subtle brow, this warm toast color works well for a wide range of complexions. It adds color to light brow hairs and blends smoothly with many shades of brown. Medium Brown: When applied with a heavier hand, this lush medium brown powder can be used to create a darker more dramatic brow, or more sparingly to get a soft honey color. Dark enough to give some drama, but subtle and natural; medium brown always gets the job done. Dark Brown: A warm, rich, chocolate brown, this powder is perfect for dark-haired women. Soft Black: A subtle highlight to your naturally dark eye brows, this coal black adds just the right accents to the face. We have many more colors, call us for more information today!